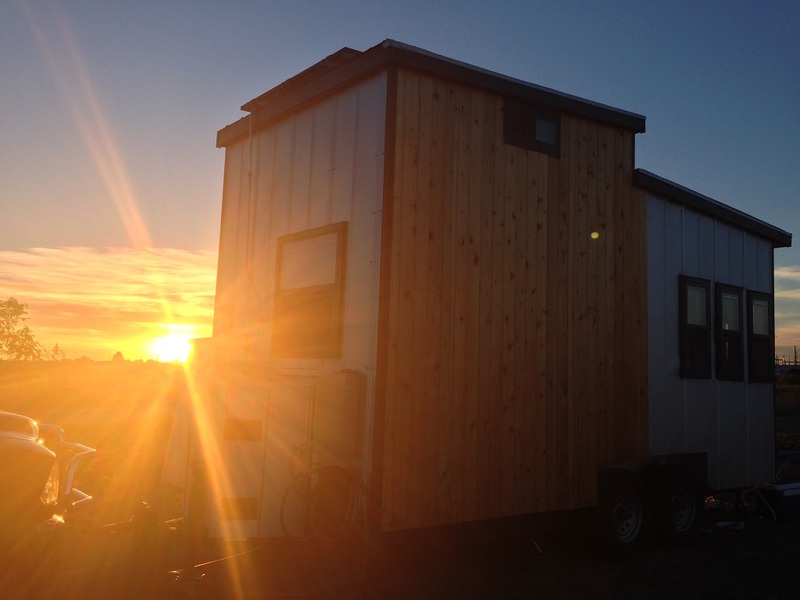 A mobile off-grid solar powered tiny house built by Nomadic Cabins of Austin, TX. 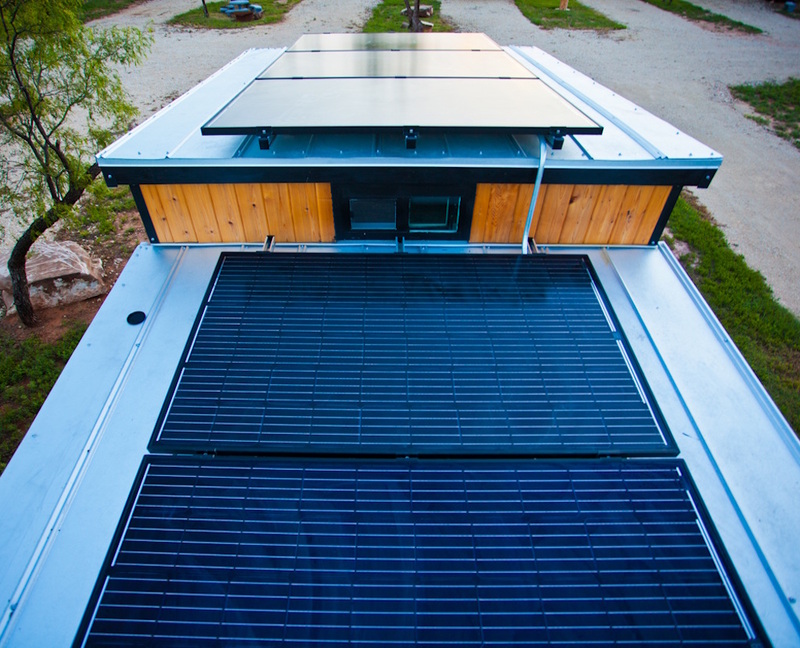 The house features 6 rooftop solar panels tied to a battery bank with 2-3 days electrical autonomy. More info. here. 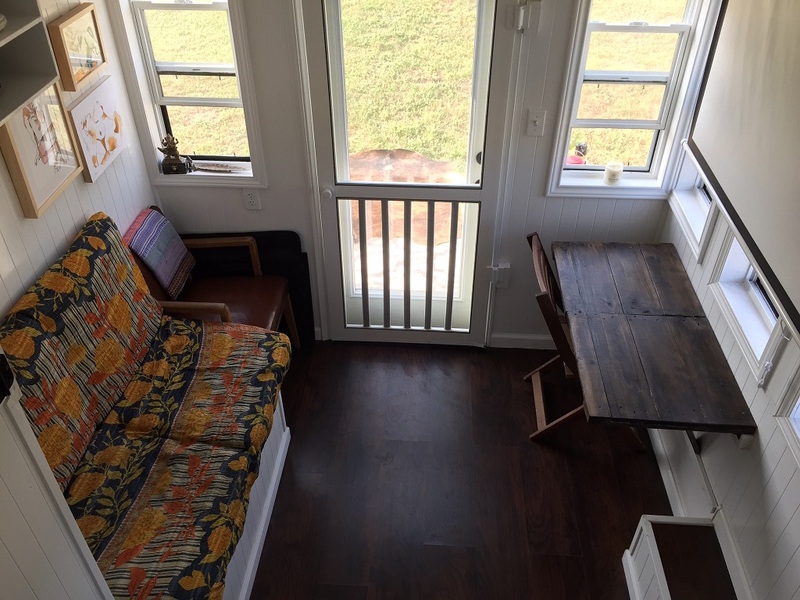 TinySolarHouse.com. I’m guessing this house doesn’t have AC because of the battery bank and all. So my question is, does the house get hot parked in the sun? Is it unbearable or no? It does not have A/C or heating. We’ve taken it from Austin TX down to the beaches at Port Aransas, back up to Oklahoma, and currently in New Mexico. Does it get hot? Yeah, but we run fans all day and night to keep it as cool as possible. We are traveling with the seasons for now, will probably get a mobile A/C unit added in the future and use it whenever we plug into the grid. So far we are 4+ weeks w/o plugging into the grid! About how much did this cost in total with all appliances and trailer? I am very interested in building my own. I am also in Austin so the price wouldn’t be much different if it were a similar size and concept i’m sure. This may sound like a random question, but I love the ink and watercolor nudes (art) and wonder who the artist is. Please look at my website http://www.kdunkle.com for art info! Love this house and the layout, very nicely done. Looks very cozy and inviting. 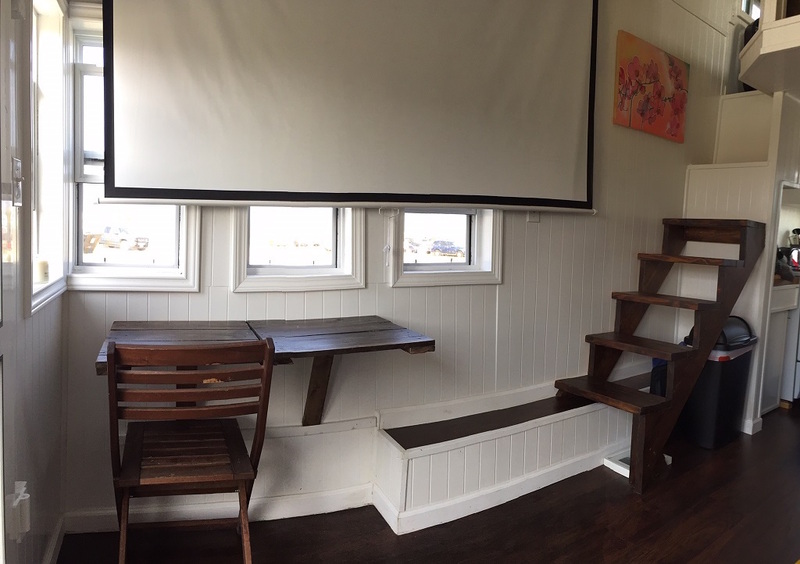 Also like the stairs, don’t look too difficult to navigate. Beautiful, love the capability to be off grid. Thanks for sharing. Congratulations on your lovely home. I love your kitchen, the clever use of window placement and size, and the feeling of openness it has. It shows how much thought you put into your own needs. Very nicely done. Best wishes in your journey. Your art really caught my eye, too. It’s beautiful. Are you the artist? 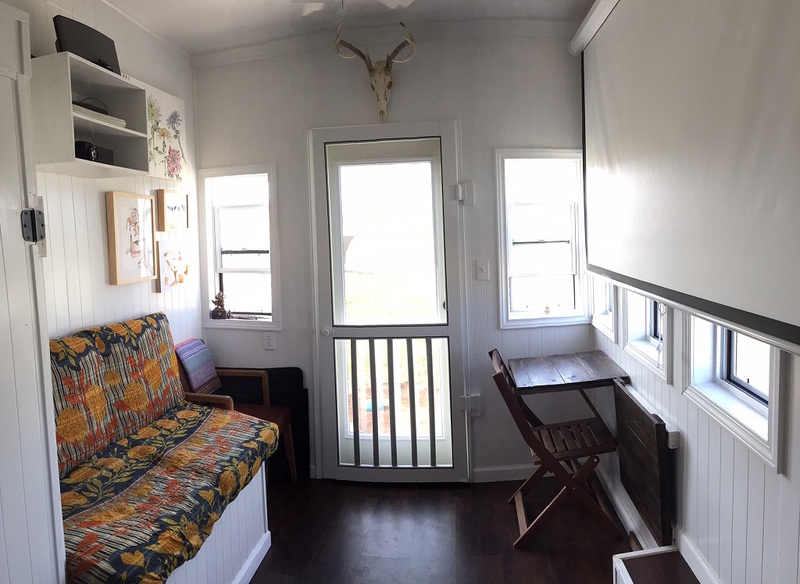 I am the artist in the tiny traveling art studio! I sell all my work from the road as well as take commisions along the way. Please email me if you are interested.